The Lucid Meetings team is delighted to welcome our newest template designer, Ingrid Bens. 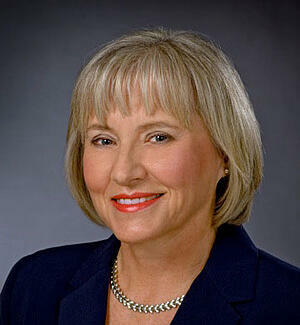 Ingrid is an award-winning author and facilitator whom we've known for many years. When we heard she had a new book out that included several meeting designs, we couldn't wait to share it here. 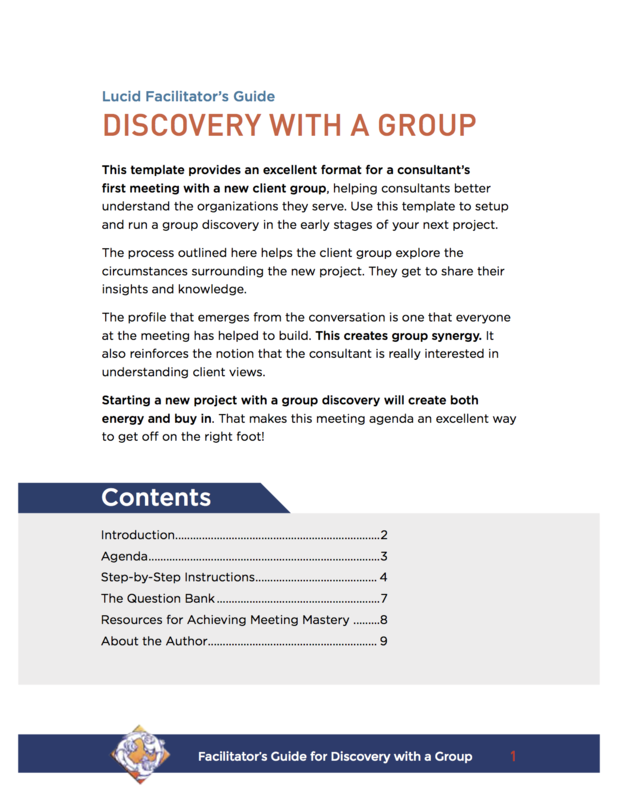 Read on for more about Ingrid's new book, including a new Lucid Meetings template for Group Discovery that showcases one of her designs. Professionals in every field spend years perfecting their expertise, but very few ever learn facilitation techniques. This seems like an insignificant omission, but it’s actually a major skill gap when you consider how much time everyone spends attending meetings. Good facilitation techniques matter because they let you structure complex decision-making conversations. Without structure, meetings tend to be unfocused and hence, unproductive. When you run a meeting that lacks structure you’re inviting the outspoken to dominate and the side-trackers to hijack the agenda. In contrast, when you run a well-structured meeting, the conversation stays focused, all views are considered, decisions are made objectively and the meeting ends with clear next steps. When you run an unstructured meeting you constantly have to fight to maintain control. When you have a clear structure, you look organized and in charge. The choice is clear. The lack of effective facilitation skills is especially glaring for consultants. Consultants spend years developing their expertise in their field, but most never learn how to facilitate. This is a major weakness when you consider just how much time expert consultants spend in client meetings. There are two reasons every consultant needs to know how to facilitate, even expert consultants who make their living giving advice. First, there’s the fact that being a consultant involves running lots of meetings: meetings to set parameters, clarify needs, identify outcomes, uncover risks, agree on roles, coordinate schedules, assess progress and solve problems. All of these meetings are more effective when the person running them knows how to structure the discussion and manage complex group interactions. The second reason is that facilitation tools and techniques make it much easier to manage the inevitable ups and downs that are part of every project. Since the education of most professional consultants is focused on technical mastery, facilitation training is usually skipped. This is a major oversight, considering just how much time consultants spend working with groups. To fill this gap I have written a book titled "Facilitation Skills for Consultants" that aims to bridge that knowledge gap by describing the essential facilitation techniques that every consultant needs to know. This book is not a manual on consulting skills. It doesn’t give advice on marketing, managing the consultant-client relationship, writing effective contracts, navigating organizational politics or any of the other topics usually covered in books about consulting. 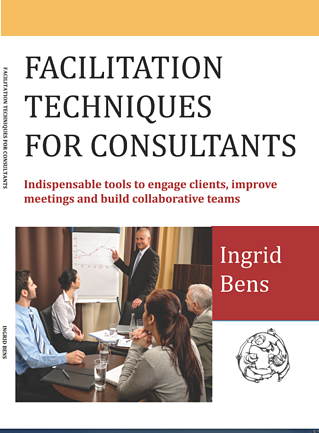 Instead, this book is about the specific facilitation tools that will help every expert consultant become even more effective. and specific facilitation strategies for both preventing and resolving conflict. Part Two describes the essential conversations that every expert consultant needs to be able to facilitate. These dialogues are laid out in clear, step-by-step detail so that they’re easy to apply, translating the concept of facilitation into practical activities. Since we live in the digital age, more and more business meetings are conducted using the Internet or through conference calls. While the information in this book is primarily described in terms of face-to-face meetings, the structured dialogues in this book are described as both face-to-face meetings and as virtual meetings. Here’s an example. One of the first skills a consultant needs to master is the discovery call. I’ve worked with Lucid to translate the instructions for running a Group Discovery Meeting into a Lucid Meeting’s template, which explores how you can run this dialogue with remote participants. Whenever you start to work with a new group or are about to launch a new project, it’s important to do your homework. This usually includes things like reading reports and interviewing key players. There is one additional activity that is almost always missed: facilitating a group discovery meeting. Group Discovery involves getting all of the key players into the room to respond to a carefully selected set of probing questions. When group members collaborate to answer the questions you get a very detailed picture of what’s actually going on in the group. This happens because people build on each other’s thoughts and debate, which adds tremendous depth to your understanding of the group members and their needs. You also get to see how people interact. You find out if group members share the same perspective or if they have major differences of opinion. You get to see how people get along, who knows what, who the leaders are. Getting hands-on practice facilitating groups and uncovering these insights are two invaluable skills for navigating complex organizational politics. Group Discovery builds buy in. The collaborative nature of the dialogue creates alignment and builds commitment. This is the magic of the process. You end up learning all about history and aspirations of the group, while at the same time they gain a clear picture of their situation. Since you helped them clarify this picture, it establishes your role as their guide. Once you facilitate a Group Discovery session you will want to use it for all of your major new initiatives! Select and prepare the questions you want to ask. If you will be meeting in person, write the selected questions on a pad of flip-chart paper. Create one agenda item per question, so you can easily focus the group on one question at a time. Schedule the meeting and invite the participants, but do not include the questions you'll be asking in the invitation. The purpose of this meeting is to engage key stakeholders in a discovery conversation to build a picture of the organization’s history and culture. Describe the purpose of the meeting. Explain that you will be presenting a series of questions and then selecting one person to respond to each one. Only the person whose name is drawn gets to respond at first. After you’ve finished discussing a question with the selected person, you may open the floor to anyone else who wants to add their thoughts. Decide how to communicate information. Once you've gathered at least one major insight from each person in the group, make sure to discuss whether the information from this conversation should and will be shared. Decide on how to communicate the information with the group, then follow up with participants. For more information, including recommended questions from my book and thorough facilitation instructions, download the guidebook below. If you’re a consultant, I’m confident that you’ll find Facilitation Techniques for Consultants to be both practical and indispensable! Ingrid Bens is a consultant and trainer with a Master’s Degree in Adult Education and over 25 years experience as a professional facilitator.